In circuits with resistors, inductors, and capacitors, the blocking effect on the AC is called impedance. The impedance is usually expressed by Z, which is a complex number. The real part is called a resistor, and the imaginary part is called a reactance. The blocking effect of the capacitor on the alternating current in the circuit is called the capacitive reactance. The inductance acts on the alternating current in the circuit. For inductive reactance, the blocking effect of capacitors and inductors on the AC in the circuit is collectively called reactance. The unit of impedance is Europe. In electronic information products such as computers and wireless communications, the energy transmitted in the circuit of the PCB is a square wave signal (called pulse pulse) composed of voltage and time, and the resistance encountered is It is called characteristic impedance. The driver inputs two identical signal waveforms of opposite polarity, which are respectively transmitted by two differential lines, and the two differential signals are subtracted at the receiving end. The differential impedance is the impedance Zdiff between the two wires. The impedance of the first line to the ground in the two lines is Zoo, and the impedance values ​​of the two lines are the same. The drive inputs two identical signal waveforms of the same polarity, and the impedance Zcom when the two wires are connected together. The impedance of the first line to ground in the two lines, Zoe, the impedance values ​​of the two lines are the same, usually larger than the odd mode impedance. Why PCB boards need to be impedance? 1. The PCB circuit (the bottom of the board) should be considered for the installation of electronic components. After plugging, consider the conductive performance and signal transmission performance. Therefore, the lower the impedance, the better the resistivity should be lower than 1/TImes per square centimeter; -6 or less. 2, PCB circuit board in the production process to experience the process of copper, electroplating tin (or electroless plating, or thermal spray tin), soldering of connectors, etc., and the materials used in these links must ensure the bottom of the resistivity to ensure The overall impedance of the board is low to meet product quality requirements and can operate normally. 3. The tin plating of the PCB circuit board is the most prone to problems in the whole circuit board production, and is the key link affecting the impedance. The biggest defects of the electroless tin plating layer are easy discoloration (both easy to oxidize or deliquesce) and poor brazability, which may cause the circuit board to be difficult to solder, and the impedance is too high, resulting in poor conductivity or instability of the entire board. 4. There are various signal transmissions in the conductors of the PCB circuit board. When the transmission rate is increased, the frequency must be increased. If the line itself is different due to etching, laminate thickness, wire width, etc., the impedance value will change. The signal is distorted, resulting in reduced performance of the board, so it is necessary to control the impedance value within a certain range. For the electronics industry, according to an industry survey, the most deadly weakness of the electroless tin plating layer is that it is easy to change color (both easy to oxidize or deliquesce), poor solderability leads to difficult soldering, high impedance, poor conductivity, or unstable overall board performance. Because the main circuit of the PCB circuit board is copper foil, the solder joint on the copper foil is tinned, and the electronic components are soldered on the tin plating layer by solder paste (or solder wire). In fact, the solder paste is melted. The state is soldered between the electronic component and the tin plating layer, which is metal tin (that is, a good conductive metal element), so it can be easily pointed out that the electronic component is connected to the copper foil of the bottom of the PCB through the tin plating layer, so the tin plating layer The purity and its impedance are the key; however, before we plug in the electronic components, we directly use the instrument to detect the impedance. In fact, both ends of the instrument probe (or the test pen) are also exposed to the surface of the copper foil at the bottom of the PCB. The tin plating is then connected to the copper foil at the bottom of the PCB to connect the current. Therefore, tin plating is the key, the key to affecting the impedance and the key to the performance of the PCB. It is also the key to easy to ignore. It is well known that in addition to metal elements, their compounds are poor conductors of electricity or even non-conductive (which is also the key to the distribution capacity or distribution capacity in the line), so there is such a conductive, non-conductive tin in the tin plating. The compound or mixture, the ready-made resistivity or the resistivity after the electrolytic reaction in the future oxidation and moisture, and its corresponding impedance are quite high (the foot has affected the level or signal transmission in the digital circuit) and its characteristics The impedance is also not consistent. Therefore, it will affect the performance of the circuit board and its complete machine. 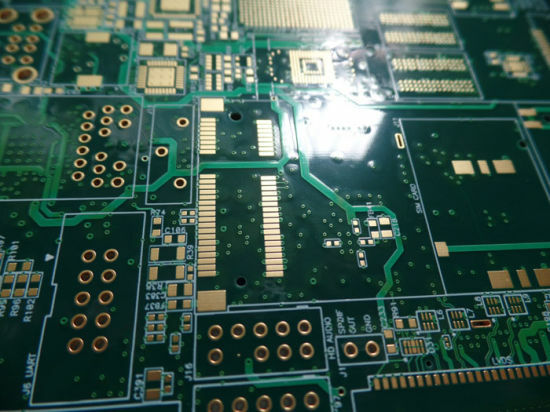 Therefore, in terms of the current social production phenomenon, the coating material and performance on the bottom of the PCB is the most important and most direct cause of the characteristic impedance of the PCB. However, it has the same aging and moisture electrolysis. Variability, so the impact of its impedance becomes more recessive and versatile. The main reasons for its concealment are: the first can not be seen by the naked eye (including its changes), the second can not be measured by constant, because it has It varies with time and environmental humidity, so it is always easy to be ignored.